A few weeks back I hosted a dinner for two good friends. We met up to celebrate my new job and also the fact that my friend’s blog post was published on The Journal.ie! What a great article, check it out here. 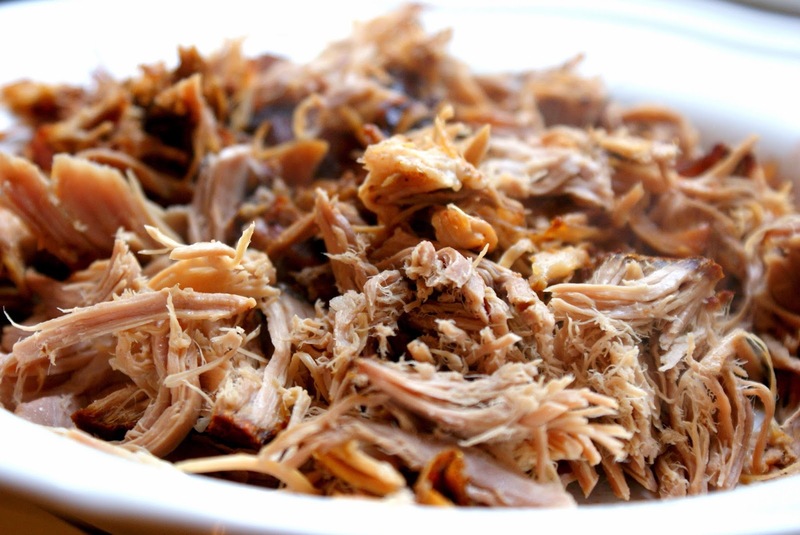 I knew they are big fans of pulled pork so I thought I could try it out and cook it myself. It was a great experience! Instead of mustard powder you can use regular or strong mustard, just spread it over meat before rubbing the spice mix all over. If you like to be a little adventurous you can pour some coca-cola into the dish just before putting the meat in the fride. For the dry spice rub: Put all the ingredients in a bowl and mix well. For the pork: Put the meat on a board and rub all over with half the spice mix. Transfer to a shallow dish and cover loosely with cling film. Leave in the fridge for 1-2 hours or overnight. Reserve the remaining rub. Take the pork out of the dish and put on a board. Massage with the remaining dry rub. Preheat the oven to 150C/130C fan/gas 2. Stand the pork on a rack in a roasting tin, skin side up. Pour 200ml water or the coca-cola mixture into the tin and cover the pork and tin with a large piece of foil, pinching the foil around the edges to make a good seal. Put the pork in the oven and cook for 5 hours. After 5 hours take the cover/foil off and grill for further 45 minutes until the heat forms a crust all over the meat. It will look quite dark. You can check the pork's internal temperature - it should be at least 75C. When the pork is cooked, transfer to a board, cover with a sheet of foil and leave to stand for 15 minutes. Pull into shreds with a couple of forks. 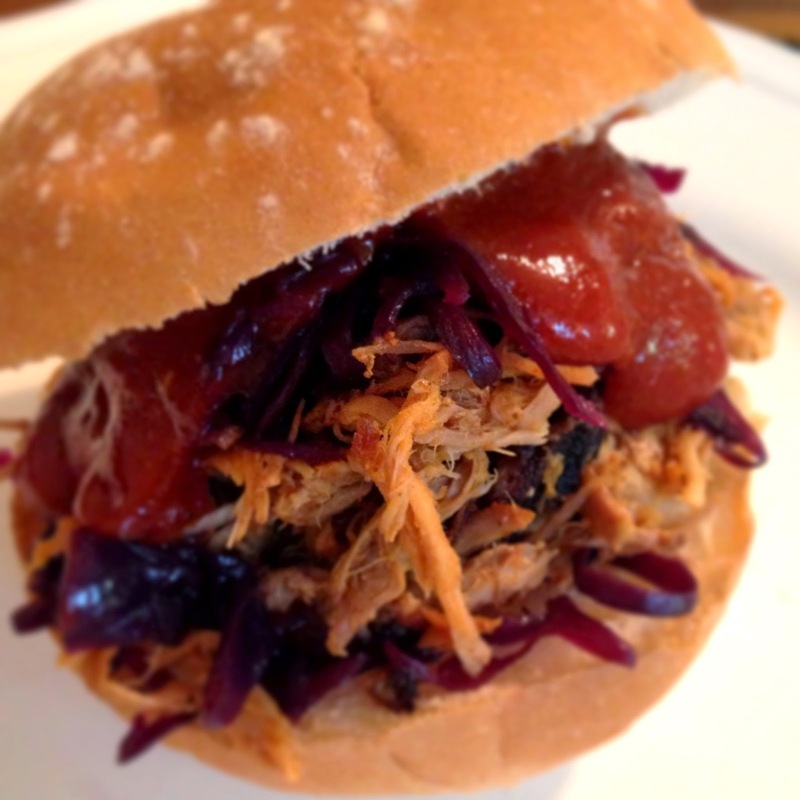 Split the buns and fill with the hot pork. 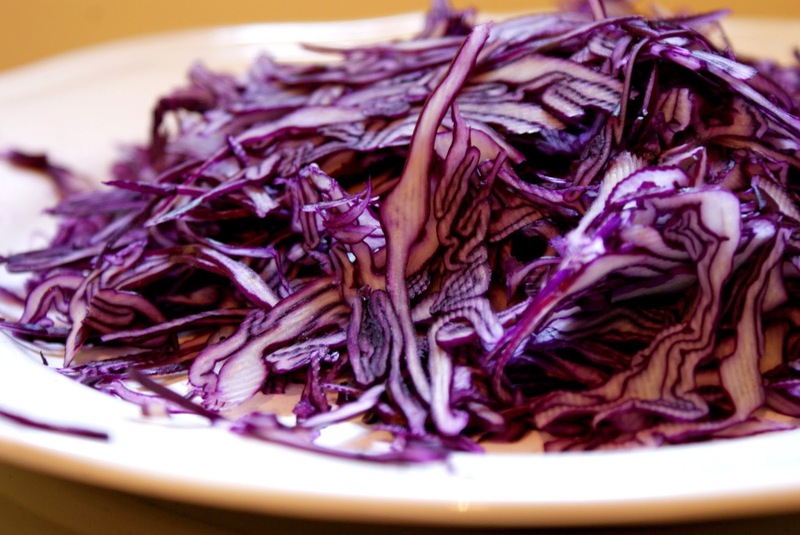 Serve with barbecue sauce, sautéed cabbage and chips. In a bowl, combine all the ingredients and whisk well to dissolve the sugar. 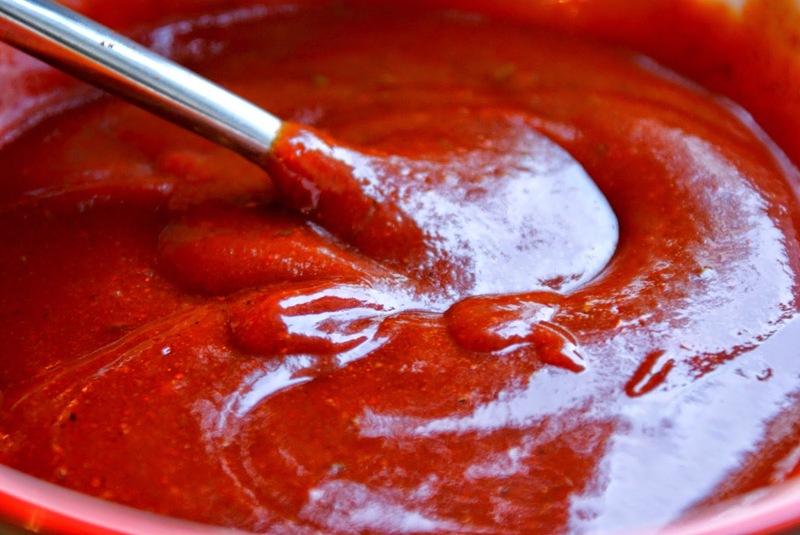 Heat up the sauce in a pen or microwave before serving. Heat a pan over medium high heat. Add oil and shredded cabbage and sauté 5 minutes. Add balsamic vinegar to the pan and turn the cabbage in it. Season with salt and pepper and reduce heat a bit. Let cabbage continue to cook 10 minutes or until ready to serve, stirring occasionally. I think this is a brilliant idea for a gift (only if you like mushrooms I suppose)! I got this “magic” box for Christmas. 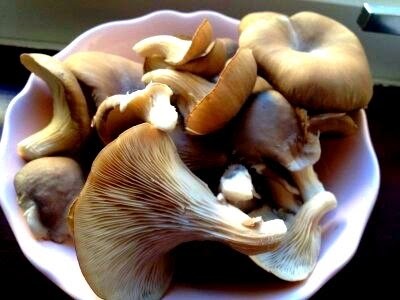 I loved to watch how fast the mushrooms grew and more I have ALWAYS loved the taste of oyster mushrooms so it was fantastic to cook my first ever home grown ones. My mum usually makes delish schnitzels out of them but I sautéed them with balsamic cream and fresh thyme instead. 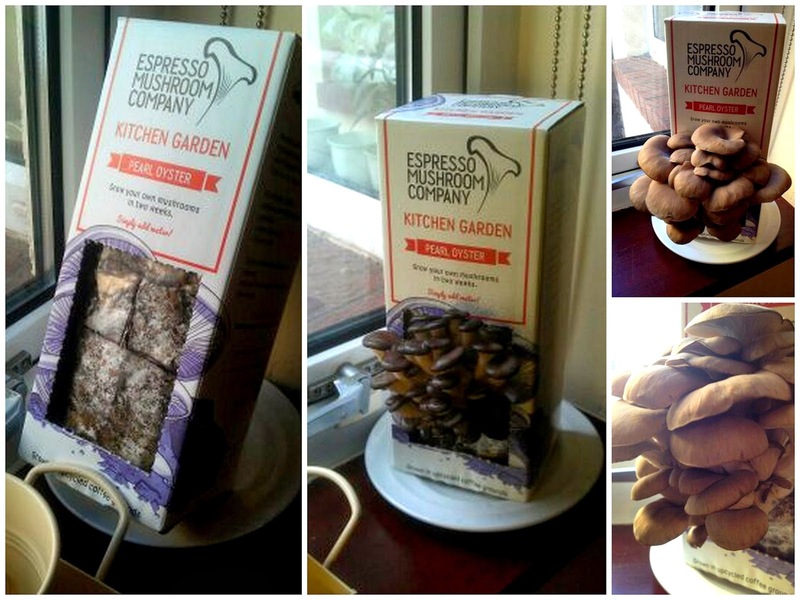 You can check the Espresso Mushroom Company website here Happy growing! I made the best breakfast ever on this beautiful Christmas morning. Fresh Smoothie!! I used up all the fruit there was in the house. 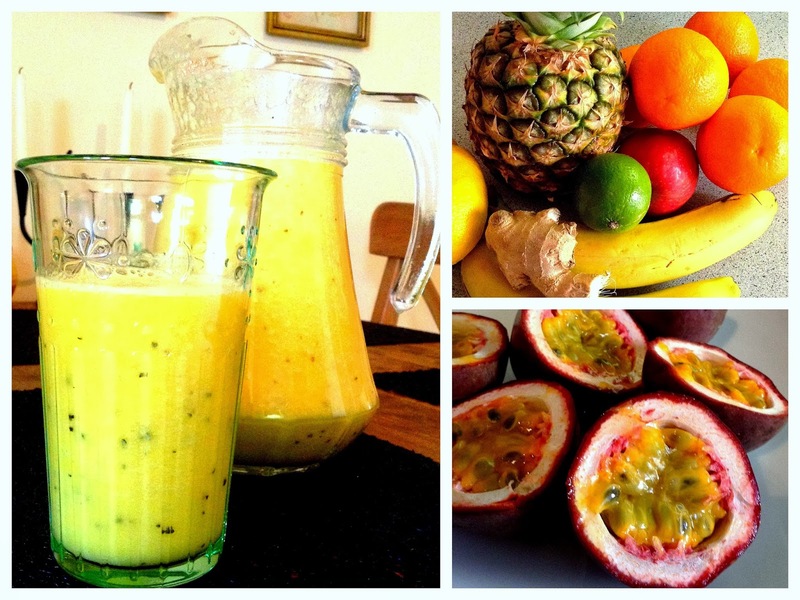 Smoothies are delicious, healthy and also a good source of important nutrients. They are easy to make and very versatile, you can experiment with your favourite fruits to change the taste and texture. You can add yogurt, honey or seeds. They are great for morning sickness and also a brilliant hangover cure! Scoop the pulp of the passion fruits into a blender and add the rest of the ingredients, including the juice of oranges, lime and lemon. Purée until smooth and drink immediately! You can top it up with some ice cubes. Enjoy! 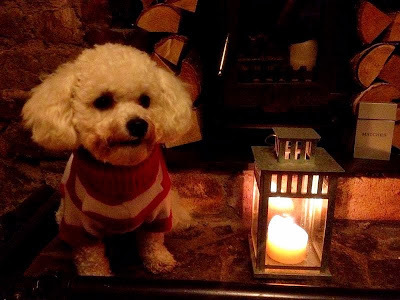 I just want to wish you all a very Merry Christmas and all the best in the New Year!! Veselé Vánoce a šťastný Nový rok vám všem!! Otis is also wishing you a Merry Christmas! This is the time of the year I usually bake traditional Czech Christmas Cookies. This year I’ve decided to throw in a new addition. I’ve chosen to make a very simple type of no-bake cookies. 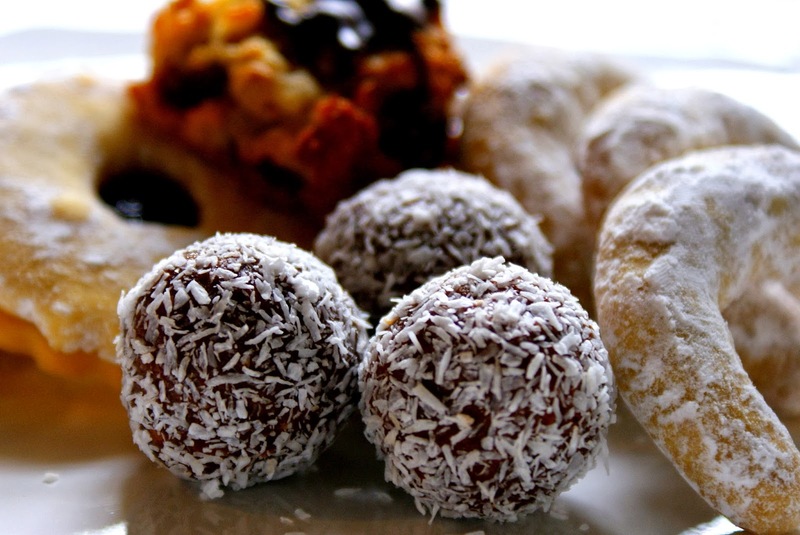 Rum balls! I absolutely loved them when I was a kid. My grandparents made the best ones ever!!! They are so simple and delicious. Enjoy and don’t forget that the cookies need to rest for a few days before Christmas so if you are thinking of making some this year you should do it soon! *Feel free to add crushed nuts, almonds or any leftover cookies and chocolate you might have used for decorating. In a large bowl mix together ground biscuits/cookies, sugar, melted chocolate and butter, rum & essence. Work the dough with your hands until all is well incorporated. Wrap in plastic and leave in the refrigerator for about an hour to harden. When cooled, take a piece of the dough; roll in your hands to form balls. 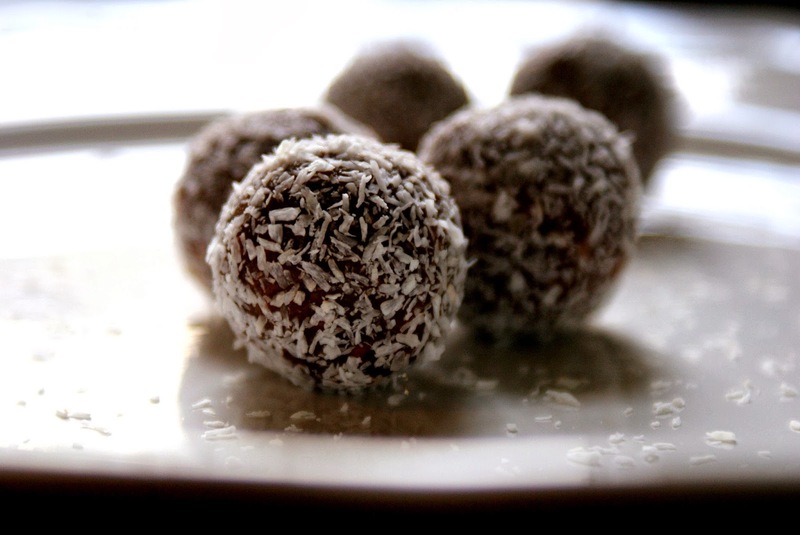 Roll the balls in grated coconut. Leave for a few days so flavours can blend before eating. I woke up with a desire to eat Bagel Eggs Benedict today! 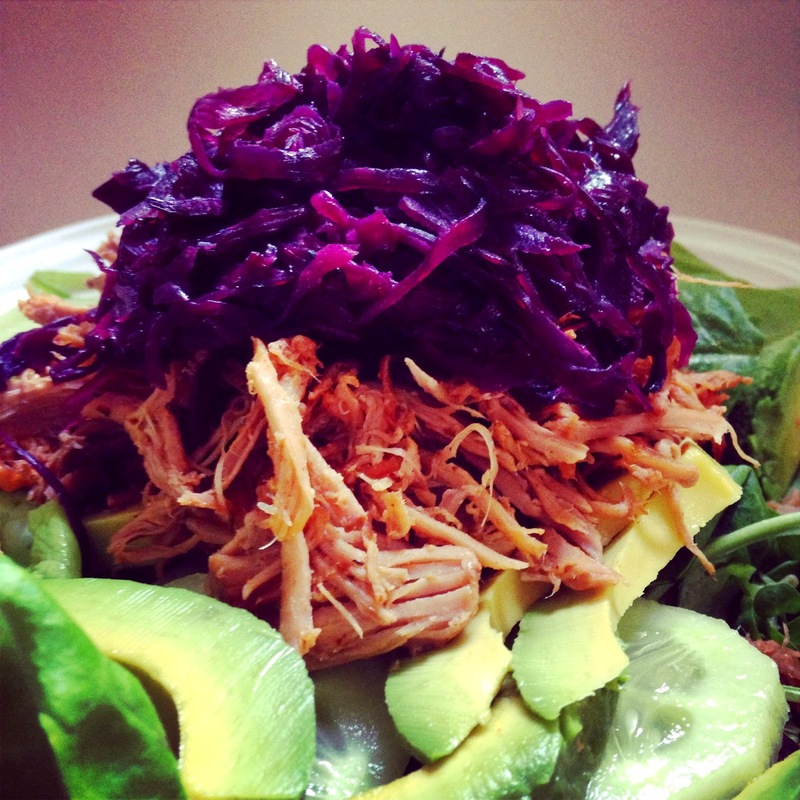 I was first introduced to this delish food over 5 years ago when I worked in a little café in Dublin. I haven’t yet baked my own bagels nor have I cooked a Hollandaise sauce from scratch but I will do it over Christmas this year! Instead of bacon or Parma ham I usually eat it with smoked salmon. I’ve found a couple of good recipes online, look them up below and give one of them a shot. 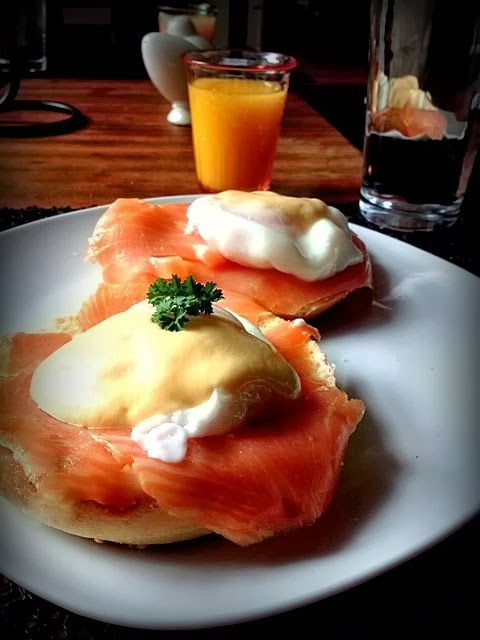 Bagel Eggs Benedict make a good breakfast or a lovely Sunday brunch. Enjoy! Bring a deep saucepan of water to the boil (at least 2 litres) and add the vinegar. Break the eggs into 4 separate coffee cups or ramekins. Split the bagels, toast them and warm some plates. Swirl the vinegary water briskly to form a vortex and slide in an egg. It will curl round and set to a neat round shape. Cook for 2-3 minutes, and then remove with a slotted spoon. Set the eggs on the warmed plate. Repeat with the other eggs, one at a time, re-swirling the water as you slide in the eggs. Spread some sauce on each bagel, place a slice of salmon on top, and then top with an egg. Spoon over the remaining hollandaise and serve at once. Add the melted butter to egg yolk mixture 1 or 2 tablespoons at a time while whisking yolks constantly. If hollandaise begins to get too thick, add a teaspoon or two of hot water. Continue whisking until all butter is incorporated. Whisk in salt, and then remove from heat. Place a lid on pan to keep sauce warm. While eggs are poaching, toast the split bagels. Spread toasted bagels with softened butter, and top each one with a slice of salmon, followed by one poached egg. Place 2 bagels on each plate and drizzle with hollandaise sauce. Sprinkle with chopped parsley and garnish with a slice of lemon and serve immediately. I can’t believe my little Otis is one year old! The time just flies so fast. What kind of birthday would it be without a proper party? We had a few doggie friends over, some human ones too and of course we had a lot of food. 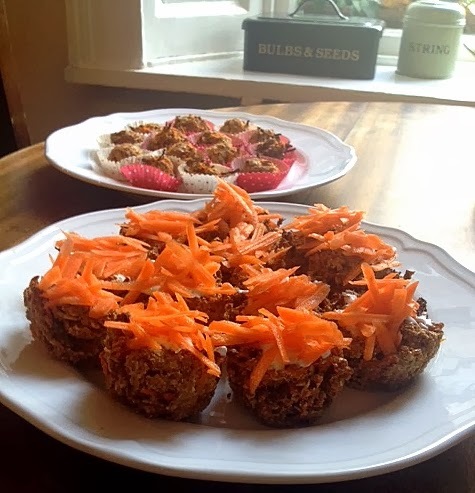 For the human friends I made two savoury pies and a salad, and for the four legged ones I baked some carrot cup cakes. I actually tasted one of them and it was quite tasty. 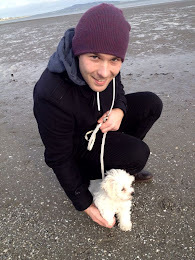 The dogs loved them!! I was so delighted! Big thanks for the beautiful dog gifts everyone, Otis loves them so much!! Preheat oven to 200° C. Line a 12-hole muffin tin with paper cases and set aside. In a large bowl stir together the carrots, eggs and apple juice. Set aside. In another medium bowl whisk together the cinnamon, oats and flour. Slowly mix in the dry ingredients. Stir until well blended. Spoon mixture into paper cases. The dough will be thick, so you may wet your fingers to press the dough into place. The dog cupcake will not rise very much, so do not worry about over filling the paper cases. Bake for 25 minutes. Cool completely on a wire rack before serving. It’s been a couple of months now since I cooked snails. I got a tin of snails from my Australian friend Sam many years ago and I wanted to cook them ever since. I never had anyone to eat them with so I waited. It was my friend’s birthday when I decided to cook them. She is French, loves snails and good wine so I thought this would be the best opportunity. I looked up some classic recipes and decided to cook them simply with lots of garlic, herbs and white wine. I was totally shocked when I opened the tin and found out that there were no shells in it. I must have missed the part that you have to get snail shells separately. Oops. My friend was already on the way so I had no time to waste. I decided to make the snails without the shells. I was quite embarrassed in front of mine food loving friend but she enjoyed the classic starter anyway. The next time I am going to cook snails I will read the instructions properly. Big thanks to Sam who was so kind and gave them to me. In a bowl, whisk together butter, parsley, wine, garlic, and shallots with a fork. Season with salt, pepper, and nutmeg. Cover with plastic wrap and refrigerate for a few hours. Quick option: Place all ingredients in a blender and you are done in a minute! Heat oven to 250°C. Spoon approximately 1⁄2 tea spoon of butter mixture into each snail shell. Push a snail into each shell, ﬁll shells with remaining butter mixture. Cover bottom of a 9" x 13" baking pan with a layer of rock salt. Arrange snail shells butter side up on bed of salt and bake until butter sizzles, 10–12 minutes. Serve snails on a platter, with bread to soak up the butter. If you decide to make the snails without shells you can simply place them into a tin, cover with butter mixture, place in the oven and bake for about 10 minutes. I have been in the mood to cook seafood chowder for nearly a year. How silly of me to have waited this long!! I have eaten chowder in Norway, Sweden and Ireland too. All of the chowders I tasted were delicious and so different. I remember the taste of salmon of the Norwegian chowder, the thick consistency and beautiful flavour of the Swedish saffron chowder and the simple but yet rich taste of the Irish chowder with potatoes and white fish. I have found a few recipes online as one does and changed things around. I improvised with the ingredients and amounts so feel free to do the same with the chowder I cooked. Don’t forget to serve your chowder with some delish bread and butter. Enjoy! Heat the oil in a large saucepan over a medium heat, and then add the onion and bacon. Cook for 8-10 minutes until the onion is soft and the bacon is cooked. Stir in the white wine and then cook for a further 2 minutes. Add the fish or chicken stock and bring it up to a gentle simmer. Add the carrots, mushrooms and a little bit of water, cover, then simmer for 10-12 minutes until the veggies are cooked through. Add the cayenne pepper, paprika and some seasoning, and then stir in the milk. Tip the fish mix into the pan, gently simmer for 4 minutes. Add the cream and then simmer for 1 min. Sprinkle with the parsley, tarragon, thyme and serve with some fresh bread.